The city branding phenomenon is captured in City Branding: Theory and Cases (Palgrave Macmillan, 2010) through a blend of solid theoretical and conceptual underpinning together with relevant real life cases. 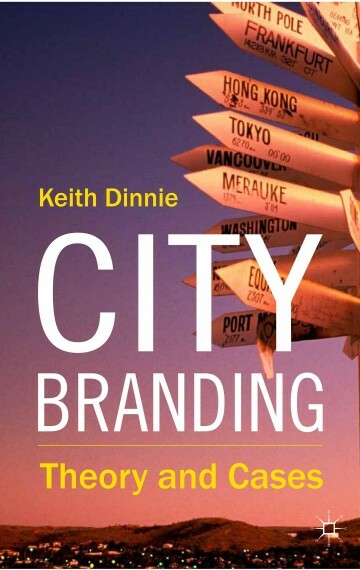 Edited by Dr Keith Dinnie, there are contributions from several international place branding experts. This book is a highly focused, yet broad and comprehensive, text that is strong both in theory and practice. Cities featured in the book’s case studies include Accra, Ahmedabad, Athens, Barcelona, Budapest, Chongqing, Edinburgh, The Hague, Hong Kong, Kuala Lumpur, Lisbon, Montevideo, New York, Paris, Seoul, Sydney, Tokyo, and Wollongong. The book has been translated into Chinese, Korean, and Russian.